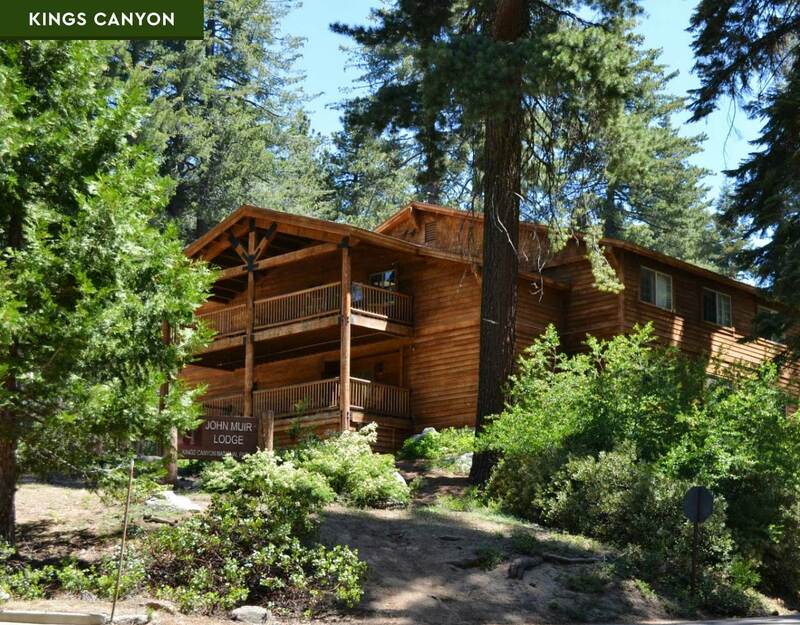 Looking for hotels or lodging located inside Sequoia and Kings Canyon National Parks? This is the right place! A variety of places to stay inside the park keep you close to the majestic giant sequoia trees, deep canyons and soaring cliffs that make Sequoia and Kings Canyon National Parks famous. Wuksachi Lodge is Sequoia National Park’s signature hotel accommodation, located just around the bend from the General Sherman Tree, and not far from the exquisite sunset-viewing options at Moro Rock. Hotel amenities include limited wireless internet, a full-service restaurant, retail shop, special event facilities, and dog-friendly rooms. 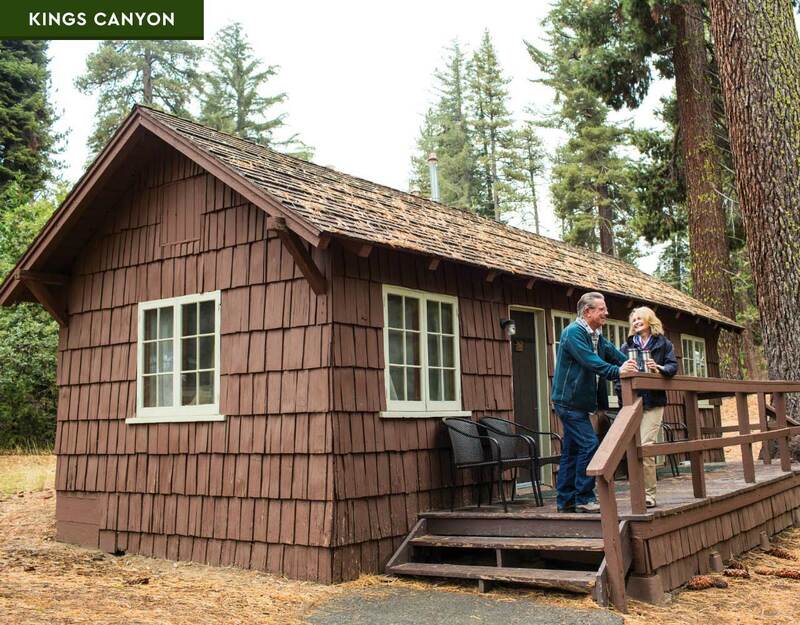 The John Muir Lodge and Grant Grove Cabins are located inside Kings Canyon National Park, and within walking distance of renowned Grant Grove, home to the General Grant Tree. Enjoy being close to these giant sequoias and also at the top of the road following the Kings River down into Kings Canyon itself. Dog-friendly rooms are also available. Choose hotel-style accommodations at the John Muir Lodge – complete with a lofty open timber beam ceiling and stone fireplace in the common area, or a more rustic cabin-like experience at Grant Grove Cabins. 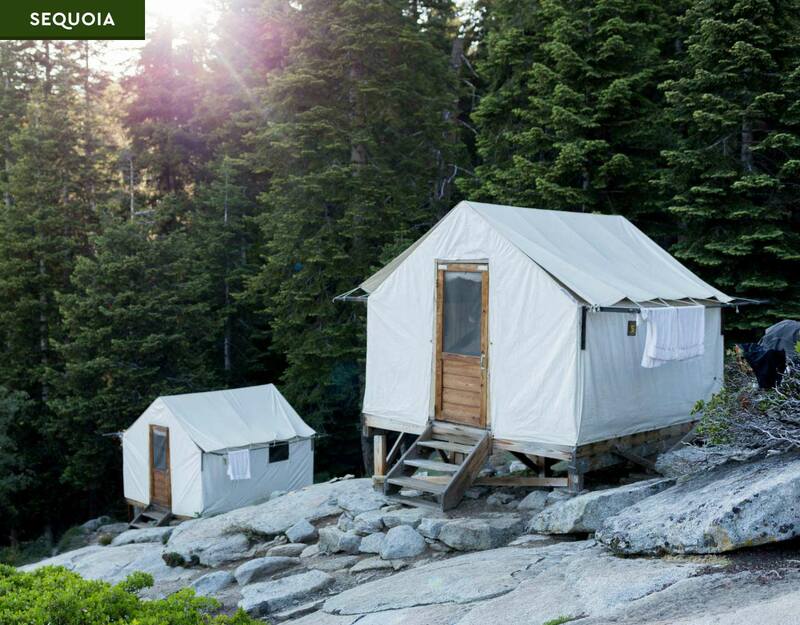 These cabins come in either hard-sided or tent-cabin styles. 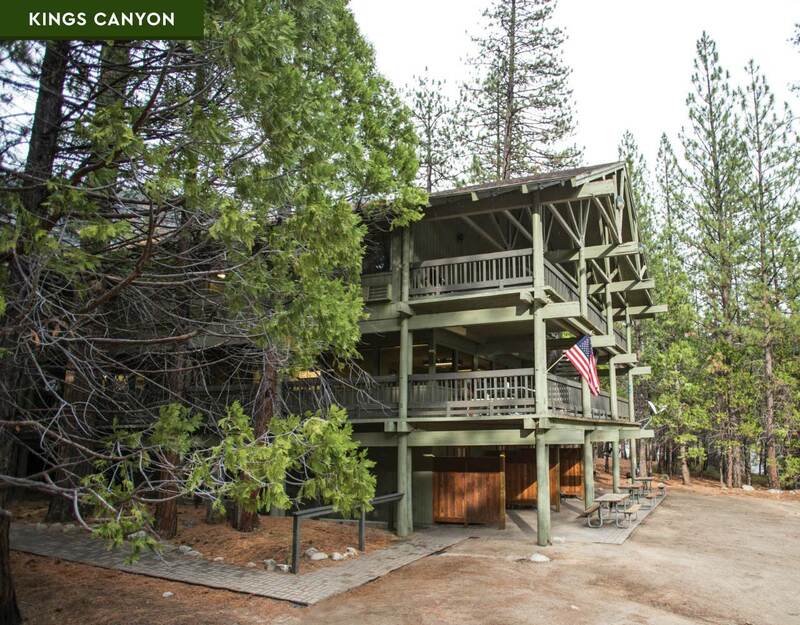 Cedar Grove Lodge is located in the heart of Kings Canyon on the bank of Kings River and close to Roads End, a popular trail head for adventures out into the park during the summer months. With only 21 guest rooms and a unique location, this lodge fills quickly, so make your reservations early. Cell phone and internet service including Wi-Fi is very limited throughout Sequoia and Kings Canyon National Parks. This alluring mountain lodge features 102 spacious guest rooms, a full-service restaurant, and special event facilities. 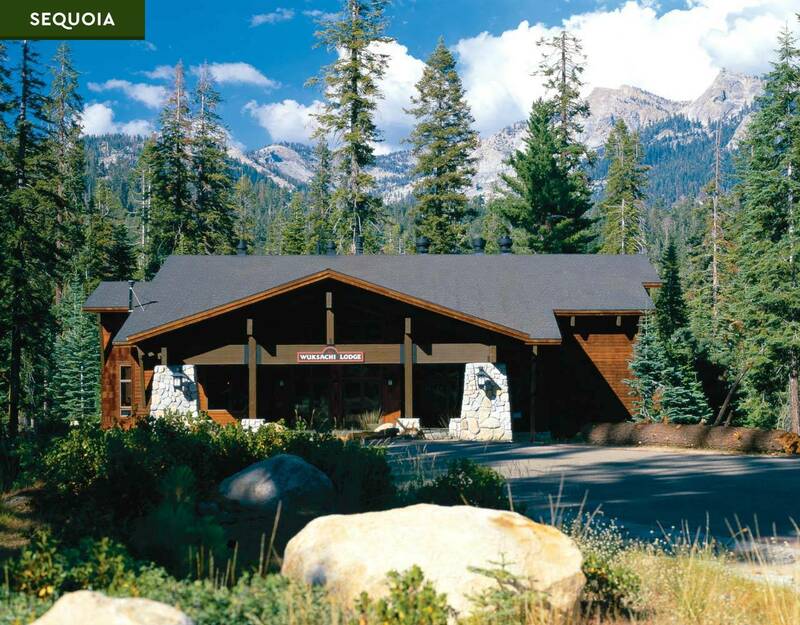 Open year-round, the John Muir Lodge serves California national park visitors with 36 rooms in Kings Canyon National Park. The Grant Grove Cabins are available in both timber and tent cabin styles. Located in Grant Grove Village, these cabins are for guests who want a more rustic experience. Cedar Grove Lodge offers 21 guest rooms with two queen beds, private baths, air conditioning and telephones. Open May through mid-October, the lodge serves travelers keen to explore Kings Canyon’s alluring wilderness attractions. Bearpaw is set 11.5 miles into pristine national park backcountry, high atop a 7,800-foot granite saddle overlooking the Great Western Divide.